Bethany Thames is a 28-year-old Georgia native (with sweet tea drinkin’ southern gal roots), who recently moved to Asheville at the beginning of 2016! While living in Atlanta, she completed her Biomedical Engineering degree in 2010 at Georgia Tech (go Jackets!) and fell in love with CrossFit. She quickly became a trainer and while managing a gym in town discovered her interest in Marketing. Bethany began working for an Atlanta-based startup company in 2014, where she expanded her marketing interests into Product and UX Design work, loving to sketch new design concepts for websites and company product enhancements. After several family members requested hand-lettered signs for weddings, she began exploring the creative world with a different eye, as a potential business opportunity. And finally, following several successful side projects and custom works, Bethany officially launched Joy Unscripted as a Calligraphy, Hand-Lettering and Design business in April of 2016. 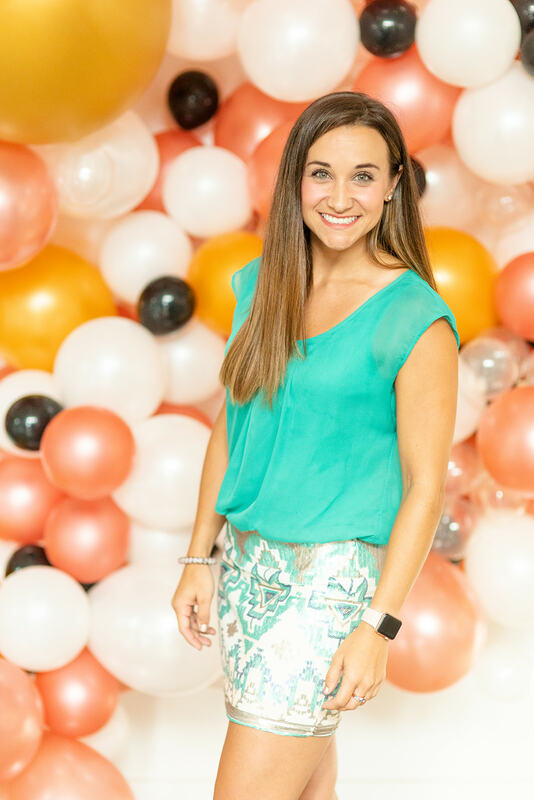 She loves working with clients to help them discover their true style and find the perfect piece to accent their special day or new room decor! As a new business owner in Asheville, Bethany is super excited about being a member of the Engaged Creative team! The friendships are so worthwhile in her personal life, and she can’t wait to grow Joy Unscripted with the new business connections as well. On the daily, Bethany is spoiled by handmade coffee every morning, loves Mexican food and playing music way too loud! You’ll find her at Beer City CrossFit most weekday evenings coaching classes, and cheering on her Atlanta Falcons come Sunday afternoon. But mostly, she loves making people happy and hopes to do so with her own little calligraphy business, encouraging others to #sendalittlejoy!